The 2018 Global Casino Championship is down to the final six players. Cards for the final day of the tournament will get in the air Thursday at noon on the ESPN stage. 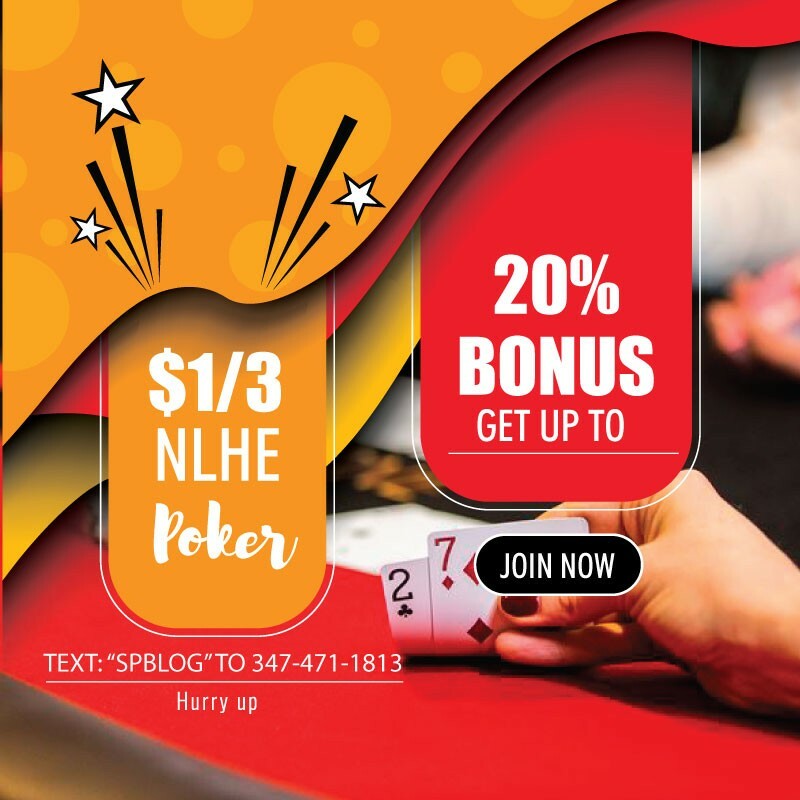 The winner of this unique event will take home $282,113 and a WSOP gold bracelet. All six players returning are guaranteed a minimum payout of $48,926. Starting Thursday’s play as the chip leader is Jeremy Meacham from Oak Bluffs, Massachusetts. He leads a tough six-player field that includes three WSOP gold bracelet winners. Kevin Stammen qualified for this year’s GCC by winning the Potawatomi (Milwaukee) Main Event. He defeated a 604-player field to earn $190,265 and his first career WSOP Circuit ring. Stammen is the owner of a WSOP gold bracelet, which he won in a $2,500 no-limit hold’em event in 2009. A win for Stammen would bump his WSOP earnings over the $1.5 million mark. He enters Day 3 third in chips. Jeremy Meacham will enter Day 3 as the big stack after a strong finish on Day 2 that saw him go from short stack to chip leader in a matter of a few levels. Meacham qualified for this tournament by winning the Foxwood’s Main Event for $156,735 and his first career WSOP Circuit ring. A win for Meacham would give would earn him not only his first career WSOP gold bracelet, but also net him his largest career WSOP cash. Loni Harwood has a chance to make history in this event and become the first two-time champion in it. Harwood won this same event back in 2015 it its final year as the “National Championship”. She defeated a 122-player field to earn $341,599 and her second career gold bracelet. If Harwood can take the victory, she will become the fourth lady ever to win three WSOP gold bracelets. Harwood qualified for this event by finishing as one of the top 50 season point earners. 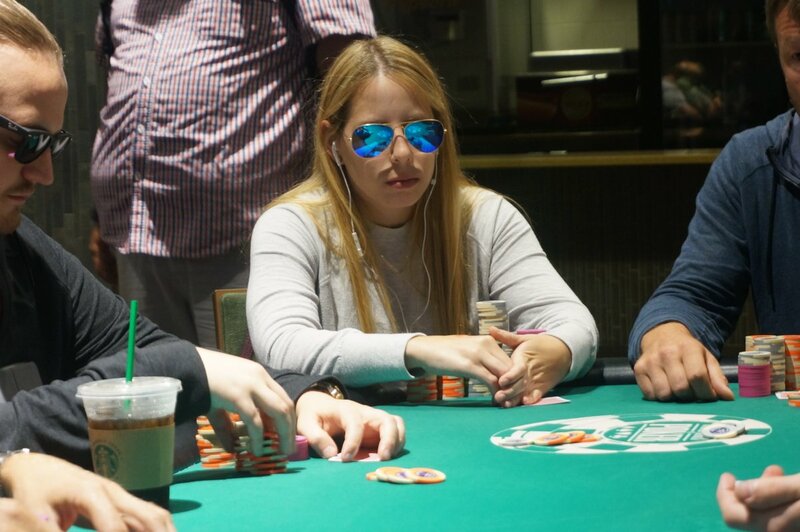 She finished 29th in the standings after collecting her fourth and fifth career Circuit rings and collecting over $100,000 in tournament earnings over the course of the season. Harwood will start Day 3 second in chips. Warren Sheaves, who was the 127th out of 127 players to enter this event, will start Day 3 fifth in chips. Sheaves qualified for this event for finishing as one of the top 50 season point earners. He finished in 10th place in the standings after cashing 16 times, including reaching six final tables last season. Sheaves, a Circuit gold ring winner, has guaranteed himself his largest career WSOP payday ever for making it this far in the tournament. Armin Stocker is the only international qualifier remaining. He qualified for this event by winning the Casino Championship at the Casino Campione (Italy) stop. Stocker is from Switzerland and a win would make him the second international qualifier ever to win this event. Said El Yousfi, who is also from Switzerland, won this event in 2016 for $343,256. Stocker has an uphill battle as he begins Day 3 as the shortest stack. Arkadiy Tsinis started the day fourth in chips and ended the day fourth in chips. He was involved in some of the most critical pots of the day, including the final one when he eliminated Blake Whittington in 7th place. Tsinis qualified for the tournament by winning the Casino Championship at the first Planet Hollywood Las Vegas stop of the season. At the stop he went on an absurd heater and won three Circuit rings over the course of five days. Tsinis is a WSOP vet with over 78 career cashes (34 of which are Circuit cashes) and over $1.5 million in WSOP tournament earnings. Tsinis won a gold bracelet in 2011 in a $1,500 no-limit hold’em event for $540,136 and is now looking to add second one to his name. Day 2 began of the tournament started Wednesday at 2 p.m. with 53 of the 127-player field returning for a shot at the gold. Of the 53, only the top 20 would cash. The start of Day 2 chip leader was King’s Casino Rozvadov Casino Champion Martin Kabrhel. Kabrhel’s day started slow and he fell to the bottom half of the counts early on, but then made a strong comeback and had an average stack as the money bubble loomed. Unfortunately for Kabrhel, his day would end on the money bubble when his pocket kings were cracked by Arkadiy Tsinis’ pocket queens in an all-in preflop pot. Once the money was reached all 20 remaining players were guaranteed a minimum payout of $12,889. The first player to collect the minimum payout was three-time Circuit ring winner Joseph Cheong, who finished in 20th place. Following Cheong out the door was six-time Circuit ring winner Joshua Turner in 19th place and three-time gold bracelet winner David “The Dragon” Pham in 14th place. Others adding a WSOP cash to their resume include nine-time Circuit ring winner Ari Engel, who finished in 12th place, and five-time Circuit ring winner Kurt Jewell, who finished in 8th place. The last player to hit the rail on Day 2 was Blake Whittington. Whittington was outdrawn by Tsinis to finish one spot shy of reaching Day 3. Whittington took home $37,627 for his 7th place finish. Joining Stocker as international players to reach the money were Ukraine’s Vadim Shlez, who qualified by winning the Sochi Main Event and Hossein Ensan, who qualified by winning the first King’s Casino Rozvadov Main Event of the season. Shlez finished in 17th place and Ensan got bounced in 15th place. Day 2 concluded with 46 minutes remaining in Level 20: 8,000/16,000 with a 2,000 ante.